Do you lack confidence in teaching the more difficult areas of primary science? Do you want accessible, well structured support? 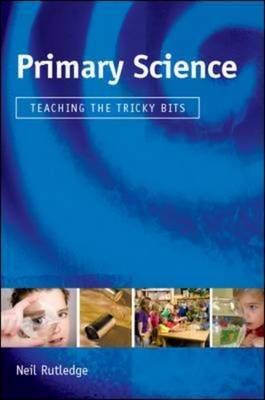 It provides a combination of engaging, practical lesson ideas and subject knowledge to help you teach the trickiest parts of primary science such as materials and their properties, magnetism, circuits, forces and life processes. Using strategies that have been successfully used in primary school classrooms, it explains the most difficult topics in a simple, non-technical style. It includes a range of accessible ideas, hints and tips with a focus on providing a skills-based, problem-solving approach to learning. How to link the topic with other areas of learning Identifying and challenging common misconceptions How to effectively pre-assess the learners' ideas to best meet their needs Practical activities for challenging and developing children's ideas Explanatory models to help pupils consolidate their understanding This book provides friendly support and guidance to anyone teaching or training to teach primary science.